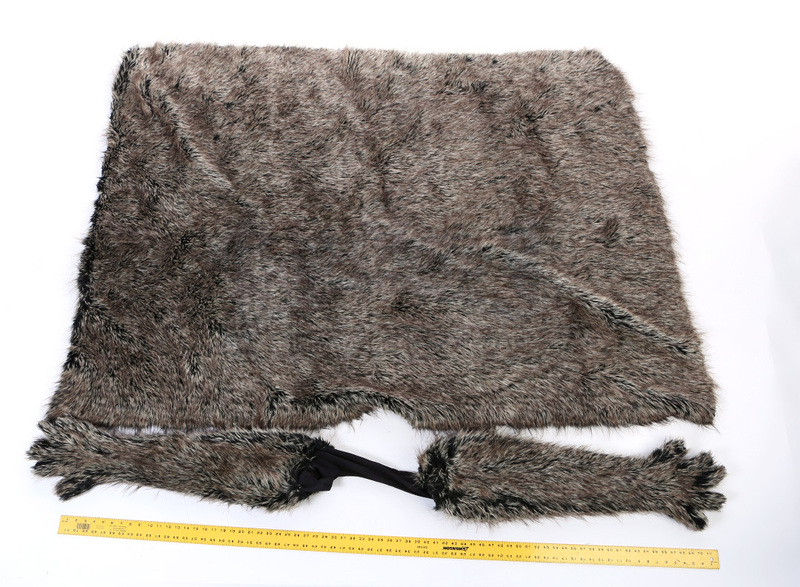 A furry wall section and set of furry gloves from the 2010 comedy Get Him to the Greek. 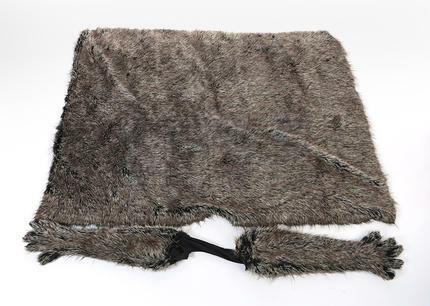 In the film, a record company executive is tasked with escorting out-of-control British rock star Aldous Snow (Russell Brand) to a concert at L.A.'s Greek Theater. 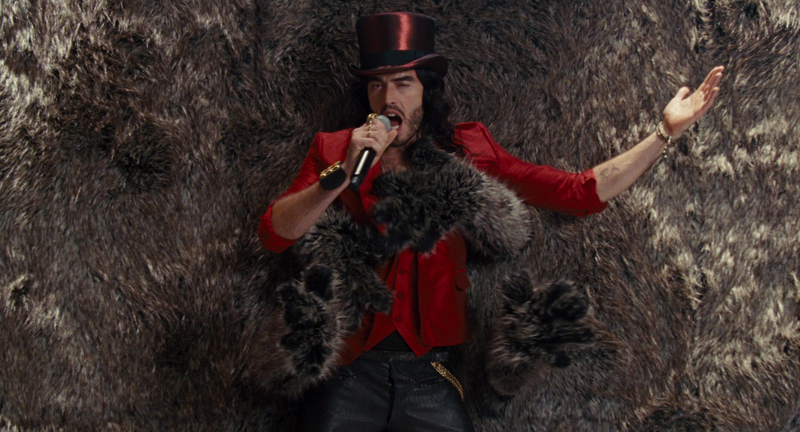 At the end of the film, Aldous performs his new hit song "Furry Walls". 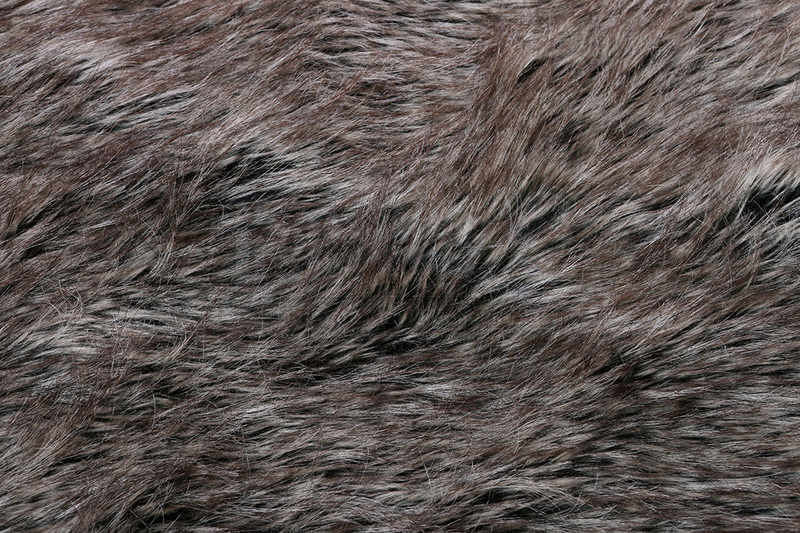 The wall section has a soft black backing and is covered in black, brown and grey faux fur. 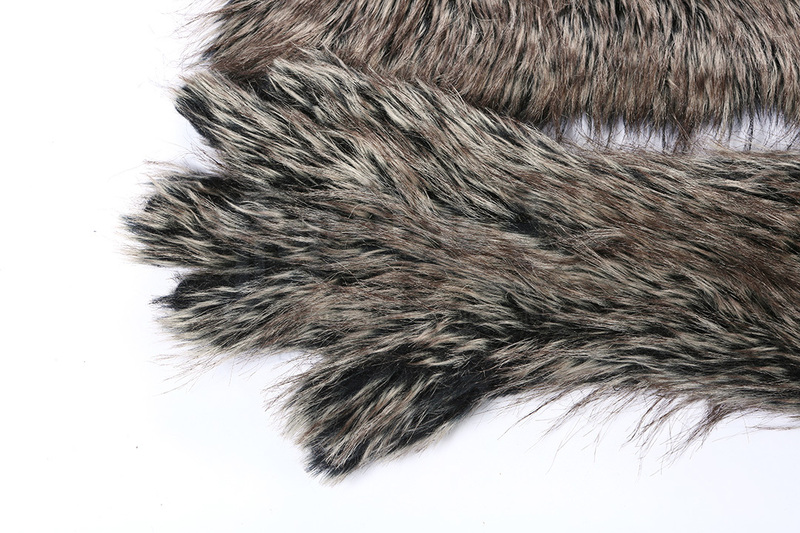 The gloves are covered in the same fur and include a black spandex interior. The set shows minimal signs of wear and remain in great overall condition.